On this week’s episode of Audibles, Andrew Perloff, Mitch Goldich and Melissa Jacobs discuss how and why The Bachelorette and Game of Thrones have crept into mainstream sports media coverage. Ravens running back Justin Forsett, whose cousin is a contestant on this season of The Bachelorette, calls in as a guest. On this week’s episode of the Audibles Podcast, host Andrew Perloff and producer Mitch Goldich are joined by SI.com NFL editor Melissa Jacobs. They discuss how and why The Bachelorette and Game of Thrones seem to have crept into mainstream sports media coverage. Ravens running back Justin Forsett, whose cousin is a contestant on this season of The Bachelorette, calls in as a guest. 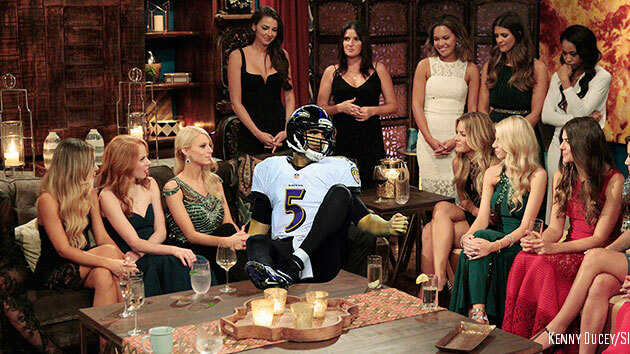 He shares how well he thinks Joe Flacco would do on a season of The Bachelor and then the group discusses which NFL players would make the best and worst bachelors. Listeners can submit questions to the social media mailbag or let us know what you think of the show by tweeting at Andrew Perloff (@andrewperloff), Mitch Goldich (@mitchgoldich), Melissa Jacobs (@thefootballgirl) or SI NFL (@SI_NFL).